Identify selected general trends and factors related to specifying high-performance wall finishing systems and heavy-duty doors that can significantly improve the durability and longevity of back-of-house functions in retail and hospitality buildings or spaces. Assess innovative entrance flooring and advanced mechanical systems that enhance the health, safety, and comfort of occupants in hospitality and retail facilities. Investigate ways to incorporate specific building technologies into retail and hospitality designs by reviewing project case studies related to safe and functional door systems, innovative wall protection, and thermal comfort. Retail and hospitality buildings are an integral part of any developed area. It is hard to imagine any urbanized area without shops, stores, restaurants, hotels, inns, and the like to both attract and serve people. Designing those spaces requires an understanding of the needs of the owners or tenants and the trends or forces that are moving the market. It also means understanding the types of products and materials that are best suited to hold up to the rigors of heavy use and high volumes of people. While it is easy to focus on the appearance and branding aspects of hospitality and retail spaces, it is equally important to recognize the need for paying attention to the durability and reliability aspect of many of the functional needs of these buildings and facilities too. That includes the public areas where people form their first impressions, but it also includes some of the behind-the-scenes areas or back-of-house spaces. All of these spaces need to be attractive, comfortable, durable, and functional in order for the staff to carry out its work and for customers to have a positive and pleasurable experience. 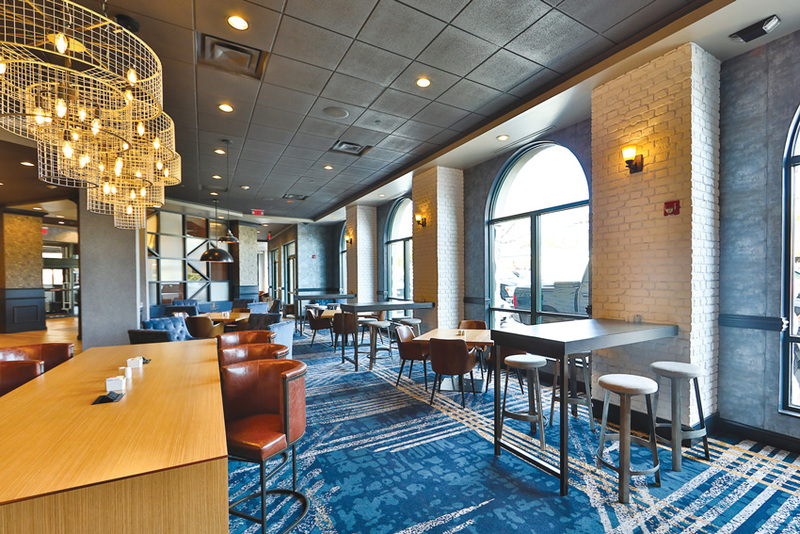 Durable materials and products combined with strong design appearances are significant factors in retail and hospitality projects, including the Hilton Garden Inn renovation in Savanah, Georgia, shown here. With the above in mind, we will look at several areas where careful review and selection of products and materials can help promote the intended customer experiences, achieve high levels of good design, and provide high degrees of performance and durability to help assure that retail and hospitality spaces work as intended not just on opening day but for the planned life of the spaces too. It is commonly acknowledged that the public areas of a hospitality or retail facility are typically where most of the effort and money are spent in both design and maintenance. The common mindset is that the front of the house is where the guests, patrons, or diners will spend their time (and money) and evaluate it as part of their overall experience. This is valid and appropriate, it and deserves appropriate attention. But equal attention is due to the back-of-house places, such as kitchens, service corridors, employee lounges, administrative offices, loading docks, storage, and similar locations. The back-of-house areas are typically where the actual work of the business is conducted. For a restaurant, it’s the kitchen; for a hotel, it’s the administrative or catering office or laundry; in many retail facilities, it’s the storage areas and receiving docks. Depending on the size of the facility and the time of day, these spaces can be the focus of a great deal of activity, some of which may not be very kind or forgiving to the building walls, floors, doors, or other surfaces. 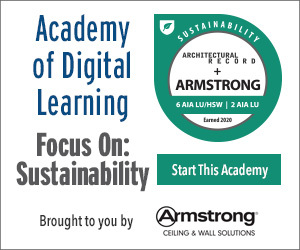 Recognizing these demands, building designers must not only consider aesthetics and design appearance when selecting materials and finish products, but they must also consider durability and the impact of their selections beyond first costs. It usually falls to the architects to act as the holistic champions for the appearance and performance of the entire facility—both front of house and back of house. Sometimes, though, improperly executed “value engineering” is undertaken to reduce first costs, which can then take its toll six to 12 months after the ribbon cutting. Corners that are cut through the selection of “cheaper” materials or the outright elimination of key products eventually show up through damage or vandalism. Then the property’s general manager or chief engineer has no choice but to find money in their operating budget to install new products to replace broken/torn ones or fix damage—all of which would likely have been less expensive to have installed in the first place during the construction or renovation of the facility. What type of products are most affected by heavy use in retail and hospitality buildings? First and foremost are walls that see repeated daily use. The best approach here is to provide protective products over gypsum board or other walls in order to handle impacts, resist scuffing and scraping, and still be decorative enough to fit with an intended design scheme. Moderate-duty rigid wall panels, corner guards, and bumpers make sense in many locations. Heavy-duty protection products such as diamond plate wall covering, wall and floor bumpers, door frame protectors, and expansion joint covers are appropriately used in corridors and back-of-house applications where carts and other equipment move. It is worth noting that such corridors often include customer restrooms and may act as a passageway from back-of-house areas. It’s these transition zones that are often overlooked in design and planning, and end up looking worn and battered within months of the grand opening. In this case, a bit of protective forethought will keep these areas looking new and undamaged. However, adding protection doesn’t mean that design needs to suffer. Woodgrain rigid vinyl sheet, stainless steel, and 3-D trim boards have been used extensively in renovating food service and dining areas of hotels, restaurants, and retail facilities. Having a choice in materials can deliver the warmth and aesthetic of wood or the cleanliness of stainless steel yet will easily stand up to the daily wear and tear that’s inherent in any hospitality facility. Durability of back-of-house areas often depends on the use of protective products, such as rigid sheet applied as a wainscot, horizontal guards, and door kick plates, all as shown here. When addressing wall designs, there may also be the need or desire to include graphics in the form of photos, logos, information, teaching, or wayfinding. Protecting such graphics as well as the wall can be a challenge in high-use areas, but the use of digitally printed, clear plastic wall panels has emerged as a truly viable wall surface option for many buildings. Printing the image on the back side of a tough, durable clear plastic sheet means that the image is protected by the clear covering. If the exposed surface becomes dirty or is bumped, the plastic takes the hit, not the graphic image. That means the imagery can take the abuse of luggage, shopping baskets, carts, strollers, purses, and other common wall hazards in retail and hospitality settings. Such a flexible but durable approach to wall protection allows any designer’s vision for a space to come to life while truly enhancing a building’s interior. Continuous wall protection can be used with digitally printed, clear plastic wall panels as a viable wall surface option for many buildings (left). Flexible wall protection products offer the same durability and protective performance as traditional rigid wall protection but is indistinguishable in appearance from vinyl wall covering (VWC)(right). Protecting wall surfaces from damage while still meeting interior design needs can sometimes be an ongoing challenge in retail and hospitality settings. While some rigid plastic protective wall cladding products are available that offer a patterned look, they may not always match what is being sought for a design scheme. Others offer the more varied look of contract wall covering with some protection characteristics but lack the ultra-durable performance of rigid plastics. Until now, this conundrum left architects and interiors designers in limbo, especially since certain spaces need the added protection but did not lend themselves to the aesthetic of rigid wall cladding. However, a brand new class of materials called flexible wall protection is showing great potential to be a true game changer by combining the appealing look of contract wall covering with the durability of rigid wall protection—walls can now make an impact while being able to take the impact. Flexible wall-protection products are durable enough to handle the conditions of harsh environments yet are literally flexible enough to become the showpiece or the backdrop of an interior design scheme. With a professional, seamless installation, they can become an uninterrupted finish with an intentional texture pattern to enhance the design. They also fend off stains and vandalism, simply by wiping with standard cleaning agents, although the amount of effort needed to remove the stain or mark will vary based on the texture selected. Flexible wall protection is quite appropriate for retail and hospitality facilities, particularly since most have some areas that are prone to be constantly bashed and slammed. If this causes damage, particularly in a public space, management will not want to leave it looking in disrepair, so someone on the staff is usually assigned to repair these problem areas repeatedly. There’s a more-subtle form of damage, however, that often accumulates slowly but eventually leads to a shoddy appearance, namely scuffs and abrasions. For example, a heavily loaded suitcase rubbing along a hotel corridor wall may not be enough to damage drywall, but it creates enough contact to leave marks, scuffs, and rubs. When this happens dozens if not hundreds of times a month, the walls soon start looking quite different from the design intent. Flexible wall protection can provide a solution to this problem by remaining intact, masking any damage to drywall behind it, removing the urgency of a repair, and containing any gypsum dust from being released into the building. In all, it is a preferred solution over vinyl wall covering or other finish options for many wall surfaces. An option for wall-panel protection includes a high-quality masonry-alternative wall panel made with real stone ingredients. It uses a crushed stone surface made from natural minerals that is molded and laid over a layer of high-density foam to create a lightweight stone panel. This produces an artistic focus on detail and authenticity while feeling cold to the touch, just like natural stone. These decorative stone wall panels are resistant to rain, snow, UV damage, heat, freezing, and defrosting with no water absorption. This makes them suitable for both interior and exterior installations with the added benefit of excellent dimensional stability. The available choices of this type of decorative wall panel include texture and qualities in different patterns that emulate brick and stone in traditional and contemporary styles. Retail and hospitality brands can choose the patterns and colors best suited for the design of their space or emulate the architecture or aesthetic in the local surrounding community. Installation is based on an interlocking edge system that enables any contractor to perform a fast, accurate, and ultimately high-quality finished surface. The average panel weight is 10–15 pounds and covers about 11 square feet. The solid, durable surface is easy to clean, maintain, and repair as needed, all of which saves the building owner time and money throughout the product lifecycle. Decorative wall panels that emulate the appearance of painted brick are used behind the counter in this retail setting (right). Custom graphics of all types can be provided behind a clear protective wall covering to display artwork, signage, or artistic or even wall covering patterns (left). Sometimes, there is an interest in increasing the life cycle of interior walls and surfaces while still maintaining brand image. Further, visual merchandising is a critical component in successful retail and hospitality marketing. However, retailers and restaurateurs often have to position wall graphics above the reach of customers or risk the chance of damage and replacement. Now there are readily available products that combine custom graphic capabilities within an ultra-durable wall-protection system. This provides a unique protective wall covering that creates a sense of place, enriches the brand story, and shapes guests’ experiences. Because it is resistant to wear and damage, it is a great solution for the high-traffic spaces in retail, restaurant, and hotel environments. Using this type of system, photographs, logos, patterns, and other graphics can be safely embedded behind a clear rigid sheet that serves as a protective shield for digital imagery while providing impact-resistant wall protection. It is available in a 0.040-inch thickness and in 4-by-8-inch, 4-by-10-inch, and custom sizes. Specifications can be written for PVC and PBT-free material with no harmful chemicals to protect customers as well as the interior. Further, it can be installed using a water-based mastic adhesive. The end result is a safe, nearly indestructible graphic that enlivens a retail, restaurant, or hospitality space. With Acrovyn by Design®, photos, logos, patterns, and more can be safely embedded behind our durable Acrovyn® sheets. The rigid sheet serves as a protective shield for digital imagery while providing impact-resistant wall protection for your retail or hospitality space. Walls are one of the largest elements of your interiors. Give them a purpose and expand their longevity with Ricochet™, wall protection that literally bends to the whim of your design. Ricochet combines the look of wall covering with the durability of rigid sheet protection. With Ricochet’s inviting textures, rich colors, alluring patterns, and seamless appearance, your wall isn’t just a surface—it’s a canvas. Mitsubishi Electric Cooling & Heating’s sleek new 2-by-2 PLFY Ceiling Cassette with square-edge design fits within the same space as many standard ceiling tiles. The redesigned 3D i-see Sensor™ continuously scans the room, adjusting temperatures to maintain comfort without sacrificing efficiency. Available in capacities from 5,000 to 18,000 Btu/h. The TECTUS three-way adjustable concealed hinge series offers designers and architects an entire range of hinges for different architectural openings and applications, including hospitality, residential, and retail environments. The TECTUS hinge offers a “clean” look unmatched by any other manufacturer. Use the SL-15 aluminum stile and rail door to create an inviting full-vision entrance while providing the functionality, security, and resilience you require. It will endure the rigors of high-traffic entrances while avoiding unnecessary weight that would compromise longevity.